Bbq season is in full swing and July 4th is only a couple of days away. And am all in the mood for Jerk . I am missing a couple of ingredients but do you think that would come between me and my fix? No way! Off to the grocery store for the other ingredients. My Jerk chicken has been marinating in the fridge for a couple of hours now and cannot wait to get it on the grill. 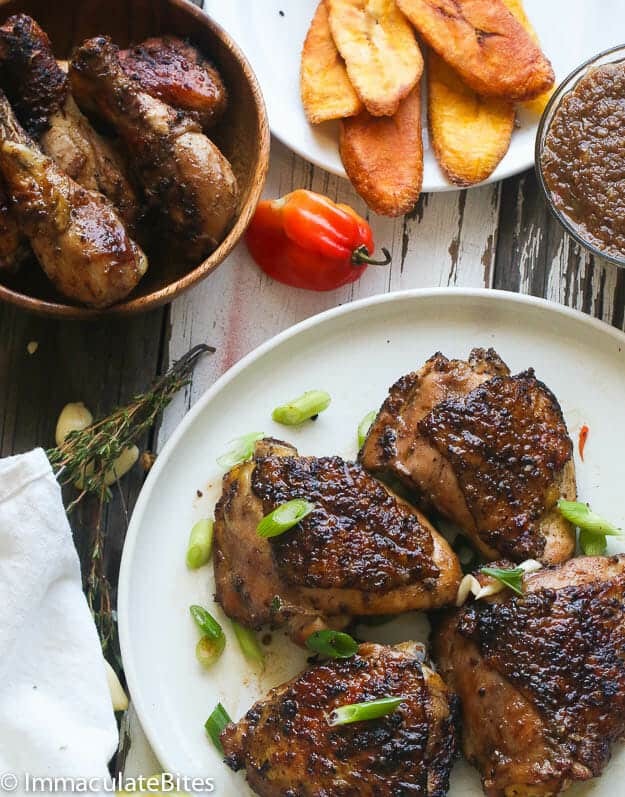 This recipe comprises of the quintessential Jamaican ingredients – scotch bonnet, thyme and allspice which are a must for a jerk chicken. Some of the other spices are green onions, brown sugar, nutmeg, maggi and or bouillon cubes, cinnamon and of course- chicken. This entire list of spices put together makes for one complex sauce – habanero burn, sweetness from the sugar and depth of flavor from the other spices. Although this recipe is significantly spiced, it is moist, tender and one mouthful of flavor. The “heat” level of the habanero or scotch bonnet is optional in this recipe. You can adjust it to suit your family needs especially if you have kids around. This blend of spices comes together quickly in a blender or processor and all you have to do is let it marinade in a fridge for up to 24 hours. Sometimes I do not have the patience to let it marinade that long and just let it marinade for an hour or two. 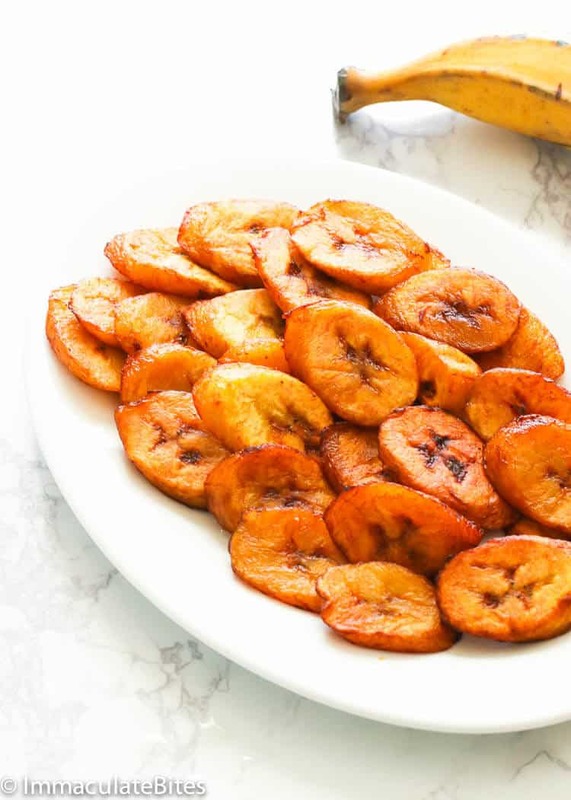 It is traditionally serve with rice and peas, but I love it with fried plantain. You can leave out the habanero or adjust it especially if you have kids around. Marinate the chicken for 1-2 hours, but preferably over night. 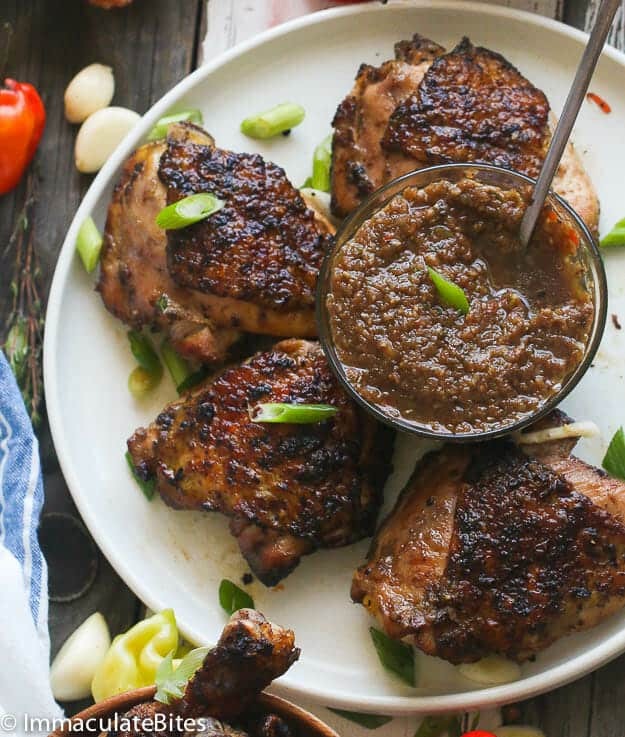 Grill Jerk Chicken - a well-seasoned grilled chicken with a Jamaican jerk marinade that has the perfect balance of heat, sweet and savory. 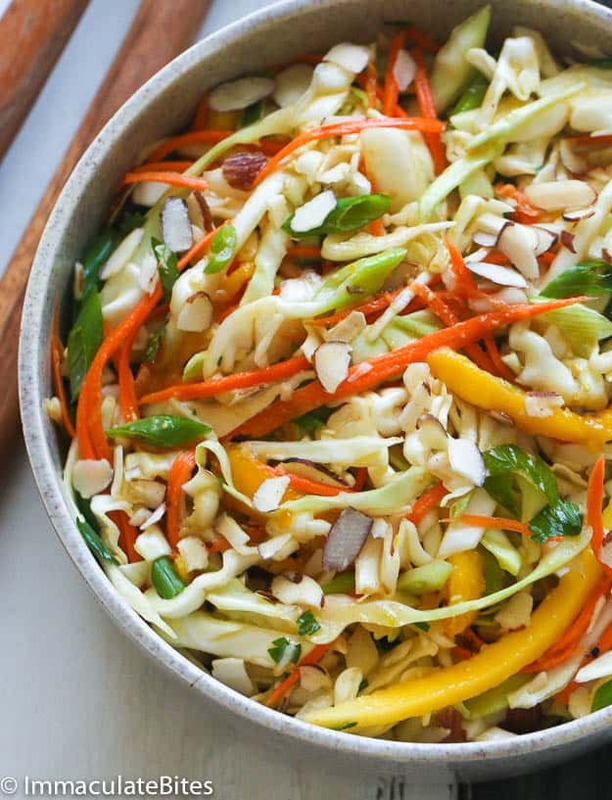 You'll want to make this all year round! In a food processor or blender, combine the following: cinnamon, thyme, green onions, onion, habanero pepper, soy sauce, maggi/bouillon, brown sugar, garlic, nutmeg. allspice, fresh ginger and ground pepper. Pulse for about 30 seconds until blended. 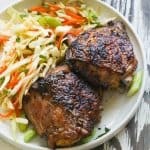 Drench the chicken with jerk marinate, place in a zip lock bag and refrigerate for at least 3 hours, preferably overnight. Try not to touch the jerk blend with your hands because it is extremely spicy hot. If possible, use gloves. 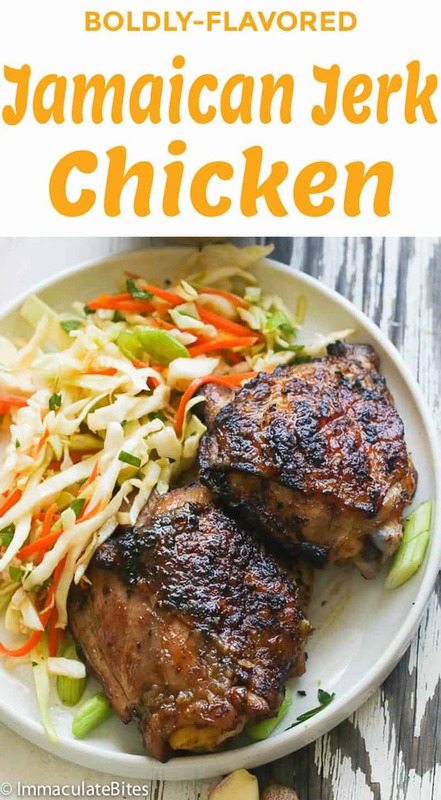 Cook chicken on the prepare grill 12- 20minutes, until juices run clear (internal temp of 165 degree F), turning often to optimize cooking and browning.You may also broil, or roast the chicken in a hot oven (425 degrees F). In a small sauce pan simmer the remaining marinade and the one from the chicken for about 7 minutes. Serve with the chicken or mix it before serving with the plantains. Trim chicken of excess fat and pat dry with a cloth or paper napkin. Rub with lemon, salt and pepper. In a food processor or blender, combine the following: cinnamon, thyme, green onions, onion, habanero pepper, soy sauce, maggi/bouillon, brown sugar, garlic, nutmeg. allspice, fresh ginger and ground pepper. Pulse for about 30 seconds until blended. When ready to grill, remove chicken from the jerk marinade and place on medium to high lightly oil grill. Reserve the marinade. Cook chicken on the prepare grill 12- 20minutes, until juices run clear (internal temp of 165 degree F), turning often to optimize cooking and browning.You may also broil, or roast the chicken in a hot oven (425 degrees F). I use a half cup of olive oil to get the marinade liquefied and more apt to stuck to the chicken. Also its MUCH better if you slow cook on mesquite kingsford. This is a lot of work but it’s well worth it. You have to get quite a few coals going and regulate the vents to keep temp low but not go out. Awesome! Thanks for the tip and feedback. I had to try this recipe, and since the weather was unseasonably warm for December, I went outside and fired up the grill. I followed the instructions exactly and my children and grandchildren wAs shocked! 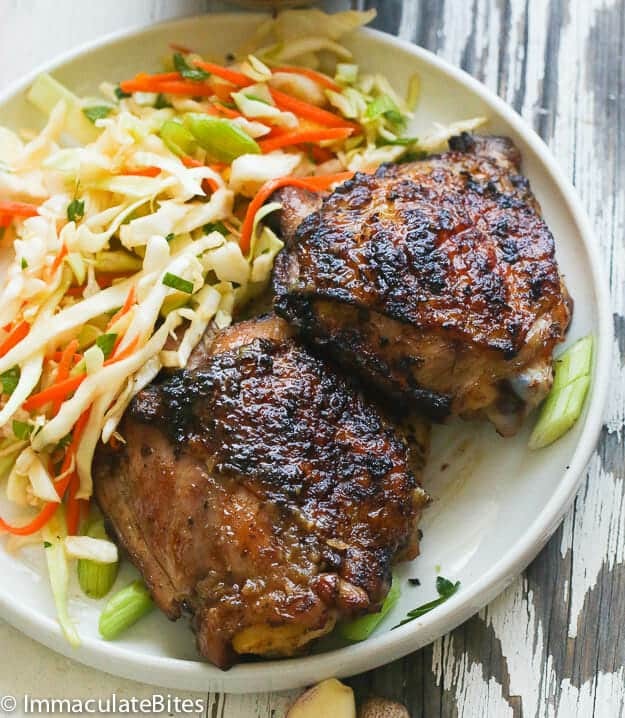 They eat jerk chicken all the time from someone else and they said this one was incredible!! I was so happy and the pot was gone in no time! I am so excited to be cooking something new, thanks to you, I can’t wait to make the pineapple cake you posted. Yaaay! I always love it when kids dig in my recipes. Glad it all turned out well for you, Andrea and I hope the kids left some for you. 😉 Happy New Year! Will this recipe work for a cut up turkey? I’m going to make thus tomorrow. My meat is currently marinating in the fridge. Didn’t have fresh thyme so I used dried. I’m hoping you’d turns out well. The marinade didn’t smell as sweet as I was hoping, but we shall see. Does it come out well if I put it in the oven? I have a newborn and it’s impossible to grill. Can I use this same recipe for jerked turkey? Thinking of using this recipe for our Christmas turkey. Thanks! We’ve never done jerk chicken in India before and are looking forward to trying it out. Additional incentive is that you’re so pretty. Thank you! =) Can’t wait for you to try this wonderful recipe. ENjoy! Hello, love all of yor recipes…The scotch bonnet, do you use the herb seasoning one or the liquid one? I saw two different types online..
Hi Michelle, I use the scotch bonnet pepper itself and chopped it. Took a trip to the Caribbean earlier this year and was able to try Jerk chicken. I instantly fell in love! Since then I have tried several ways to recreate it at home. I just made this marinade and am so excited! I think I found my new favorite way to make jerk!! I opted to use 8 green onions instead of mixing both green and white. Thank you so much for sharing!! You’re most welcome, Kayce!Glad you enjoy it. I’m Ghanaian and Togolese, but my husband is Jamaican. 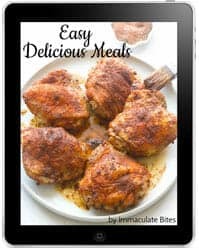 I used your recipe to marinate organic chicken drumsticks, as well as added a hint of smoke using a cold smoker with hickory wood chips. My husband absolutely loved it and mentioned it tasted authentic. Thanks for sharing your recipes with us. I’ve used many of them in the past and love the diversity of recipes you post. Thank you so much for sharing your recipes! You are bringing family dinners together many tastebuds at a time. My family now looks forward to dinner. I had to finally had to let them know it is all you! Going to make this dish in the upcoming days. Awesome! Do le me know how it works out for you . Thanks ! Where does the Lemon/Lime come in? Hi Tray! You add to the marinade . Awesome! Do let me know how it works out for you. Gonna cook this tomorrow. Thank you!! Hi Cherisse! Please let me know how it turns out! Thinking about this for a beach vacation trip. What about doing all the prep and freezing the chicken in the marinade for travel? Thaw a few days later in the fridge and throw on the grill after being on the beach? Would this marinade handle that? ***from the presentation i’m sure this is gonna be yummy in my tummy!!! Loved this spice blend the only thing I did differently was to omitting the maggi , soy sauce in place of salt. I served this over white rice . Yum!